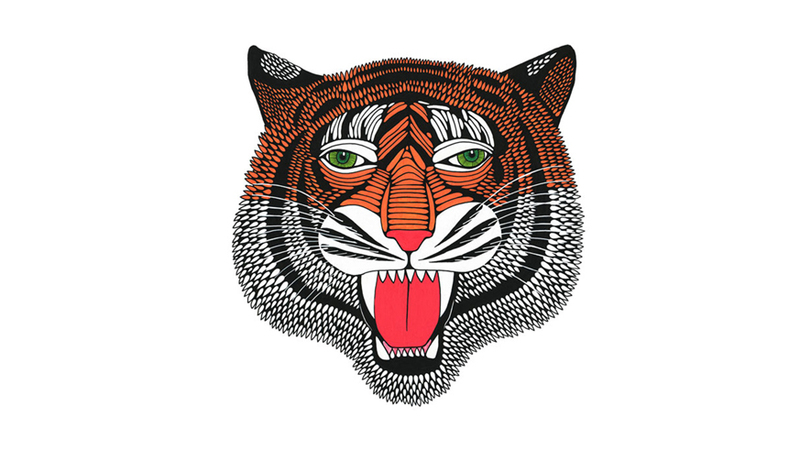 Mulga is Sydney-based artist, Joel Moore. He draws beards and zombies and zombies with beards and creatures wearing hats and various other oddities such as knife-fighting bananas. He is well-known in Sydney for his signature characters, often composed of textured shapes and intricate lines, they pulsate with untrammelled colour. Mulga can usually be found outside, painting large-scale murals and writing poems to his beloved monsters. Created by hand with Posca Pens and then digitally remastered.